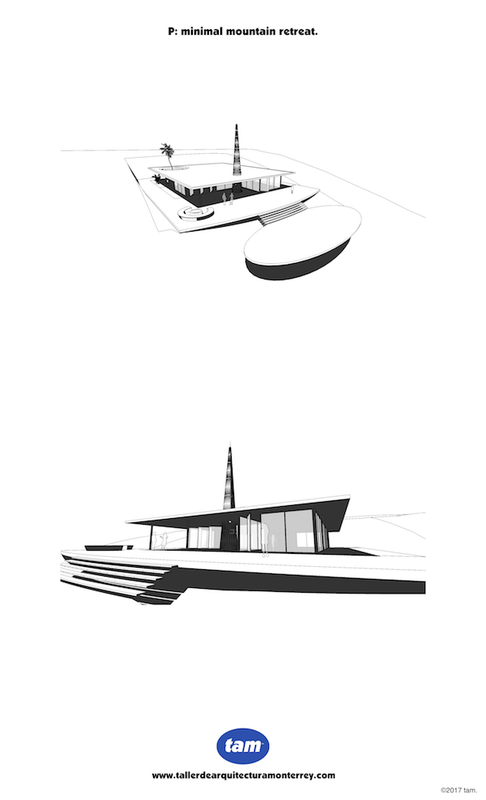 M Hotel & Apartments concept. We're working on a concept for a mixed use tower consisting of apartments and a business traveler's hotel with conference and meeting rooms. Two floors will be dedicated for retail and restaurant spaces. Current stage is conceptual and research for full proposal. 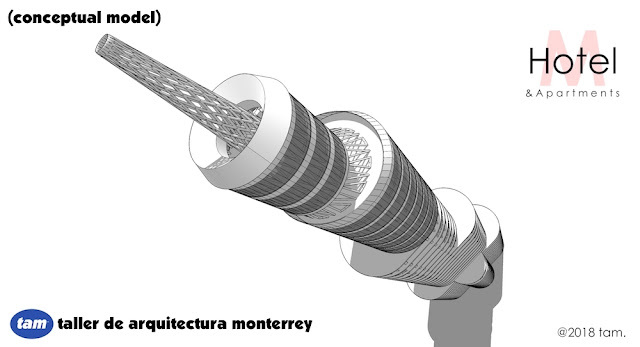 Estamos trabajando en un concepto para una torre con departamentos y un hotel para viajeros de negocios con salas de reunión y conferencias. Dos pisos serán dedicados para comercios y restaurantes. 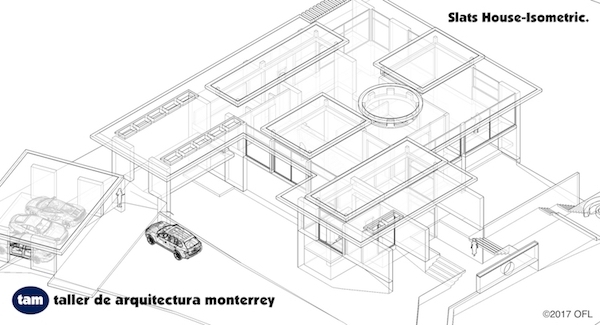 Estamos en etapa conceptual y de investigación para una futura propuesta formal. 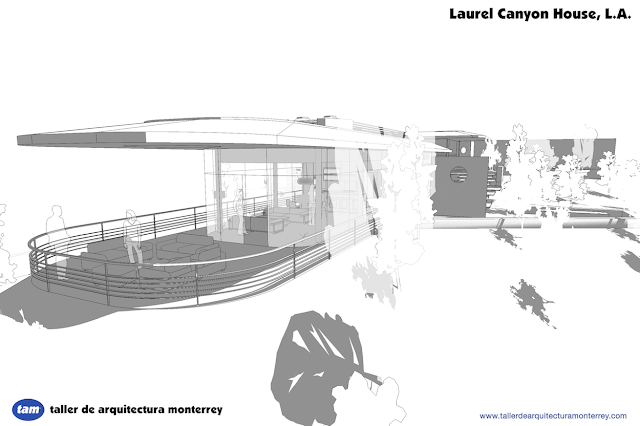 Tam Project Posters: Minimal Mountain Retreat. 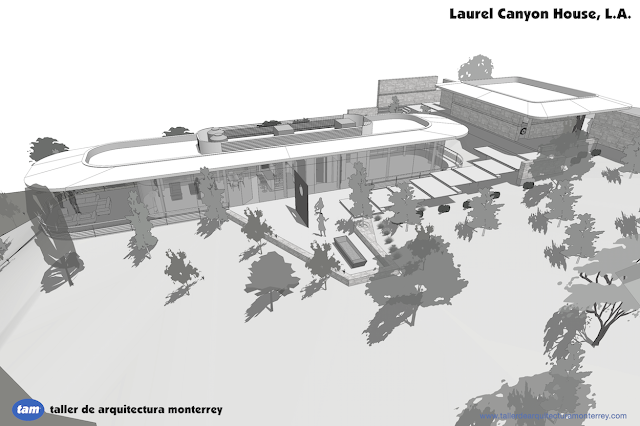 A recent project for a peaceful retreat in the nearby mountains of Monterrey, MX. 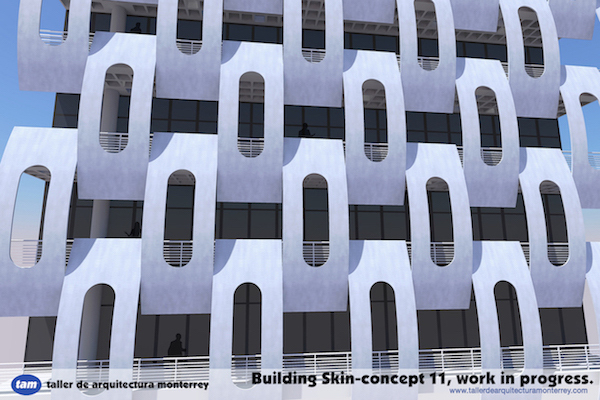 Building Skin Module- Concept 11. 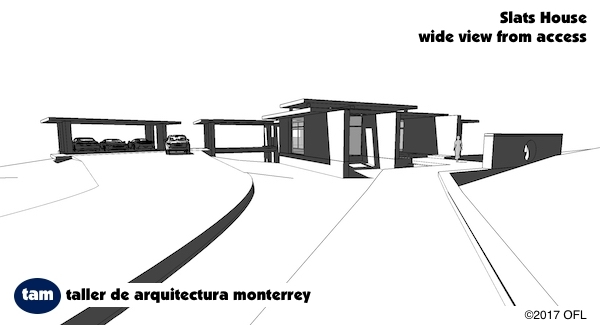 Concept 11 is a prefabricated module for exterior finish made with sheet metal and insulating material. It is intended as an EIFS for buildings and residential projects that need fast covering with purposeful design.